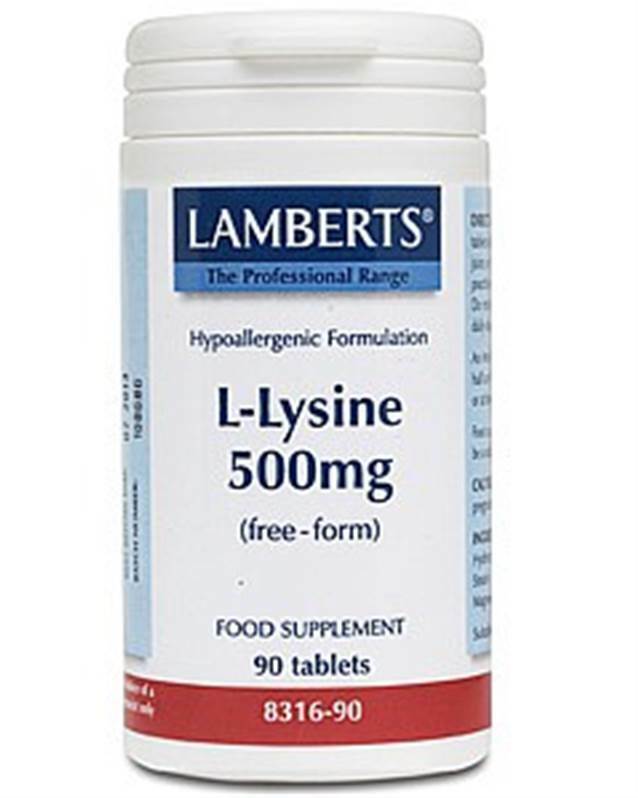 Lamberts L-Lysine is an essential amino acid health supplement helpful in controlling herpes simplex-related infections, which is the virus that causes cold sores. 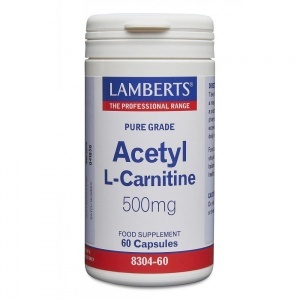 Lysine is an essential amino acid and is therefore one of the eight amino acids that our bodies can not make, so we are completely reliant on our diets to provide sufficient lysine. It is used by the body in a number of ways and, particularly in the formation of collagen, the most abundant protein in the body. Practitioners frequently recommend this particular amino acid during an attack of cold sores as it has been shown to inhibit the replication of the Herpes Simplex (Type I) virus. Cellulose Stearic Acid Silicon Dioxide Magnesium Stearate Tablet Coating (Hydroxypropyl Methylcellulose). 1 to 2 tablets daily. It is preferable to take Amino Acids with fruit juice or water rather than milk. An Amino Acid is best taken 1/2 hour before any meal or at bedtime.